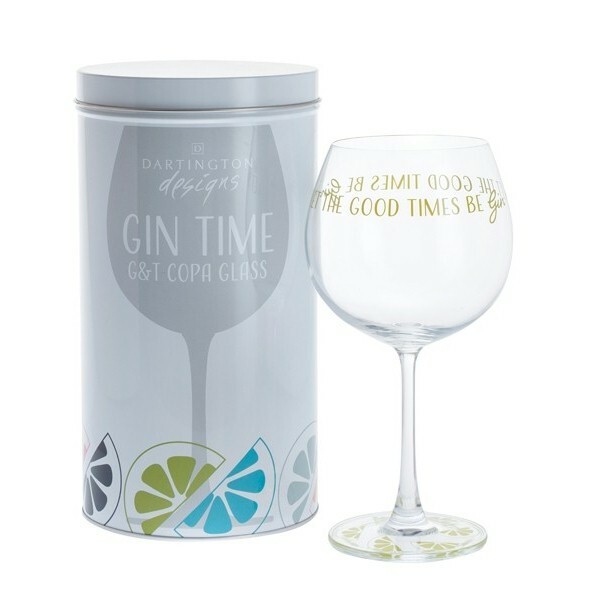 "Say it with Gin" with this great G&T Copa style glass which carries a colourful gin related phrase that will raise a smile every time you use this glass. The large bowl and long stem are ideal for mixing a good G&T with plenty of space for ice and a garnish infusion. A lovely gift for any fan of gin and with a selection to choose from you can buil a collection of these great glasses. Each individual glass is supplied in an attractive presentation tin that is ideal for gift giving and keeping the glass safely or can be used for other storage needs.